The first hall charges a fixed cost of $1200 plus $35 per student. The second hall charges $1000 plus $40 per student. Under which conditions is it better to book the first hall? When renting for more than 40 students, the cost of the first hall is less expensive. 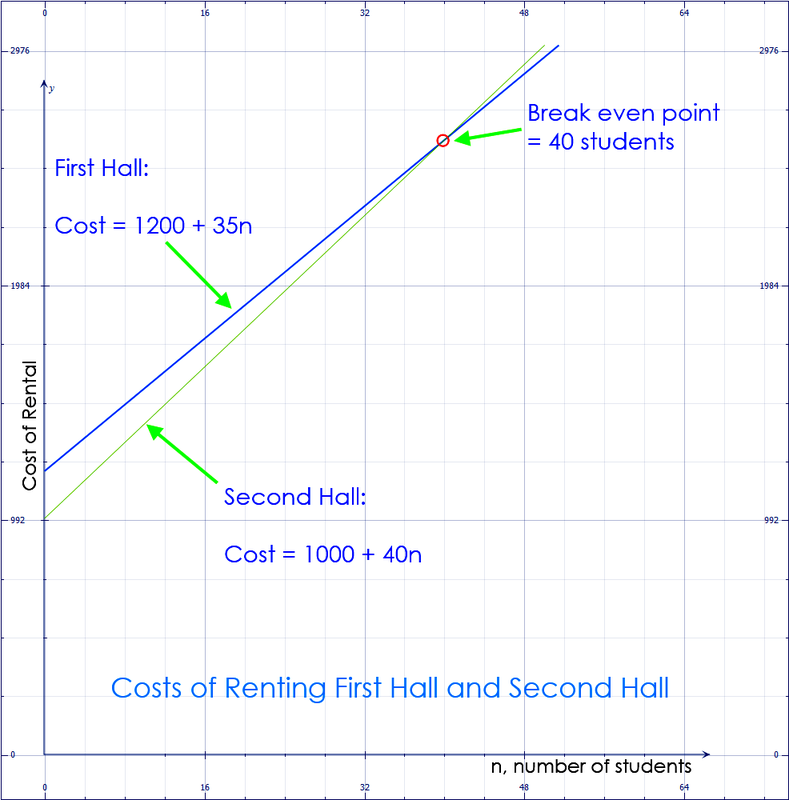 When renting for less than 40 students, the cost of the second hall is less expensive.